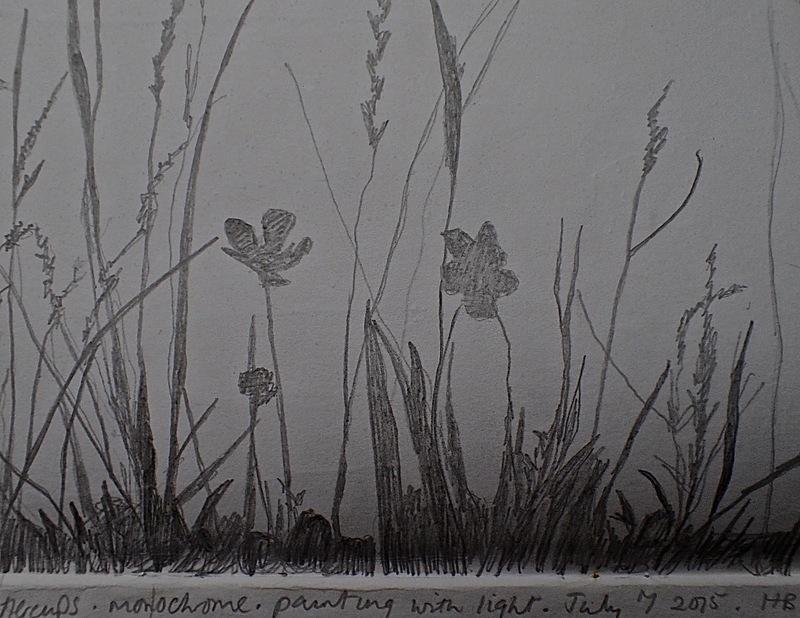 I’ve said it before – the meadow speaks in light, shadow, movement, sound. In layers. I wanted somehow to bring the meadow into my writing – to let it seep in, as it has seeped in to me. The summer rain has been relentless. The meadow can be cut any time after July 20th, by which time the flowers have laid their seeds, but there has only been the odd day of sunshine here and there since then. Once it has been cut, I will gather grasses and flowers and I will put these into a mix to make paper. I’ll also throw notes and poems I have hand-written into this mix. 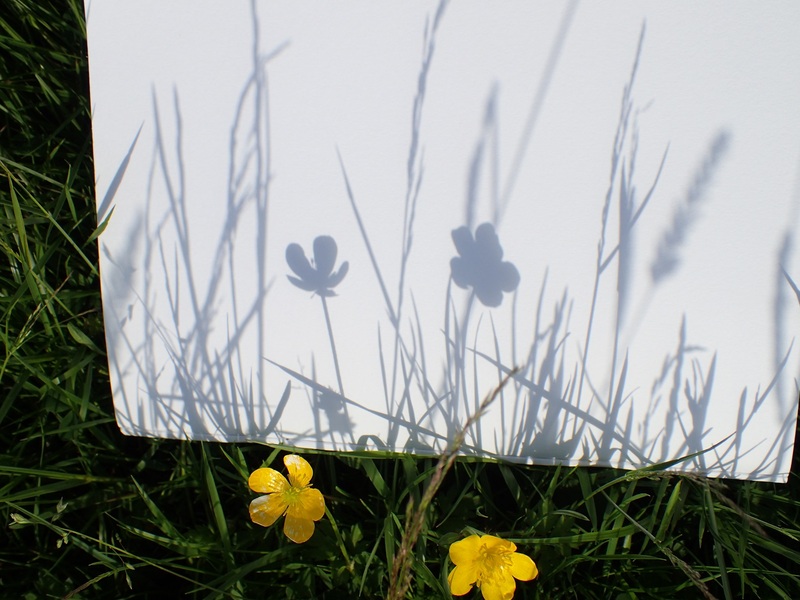 I’ll dry and flatten the paper, then cut it into smaller pieces and on each, I’ll write a new flower name and I’ll pin these, in layers, to create a 3D written meadow. But it’s still raining, and the grasses and flowers are still swaying in the wind. While I’m waiting for the cutting, there is time to process what is in my notebooks. I let the meadow make its marks. The wind was gentle enough for me to trace these. Then colour them in. I have created monochrome photos – without film or darkroom – that will become the backdrop for writing. 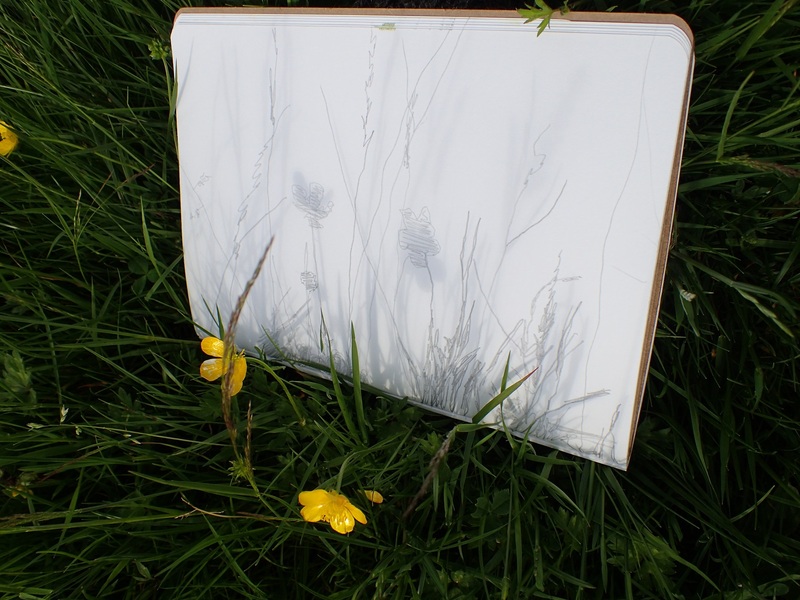 I will overlay this shadow with fine translucent paper, and add my words to the silent memory of moving flowers.